By now you’ve probably heard the former Vice-President has come under fire for his treatment of women. Pictures and video of Joe hugging, kissing, rubbing noses and smelling hair have blanketed the airwaves. It’s interesting that women are just now coming forward with their complaints and it’s making news. Biden’s predicament reminds all of us that there are times in our lives when we need to openly and honestly apologize for our actions. 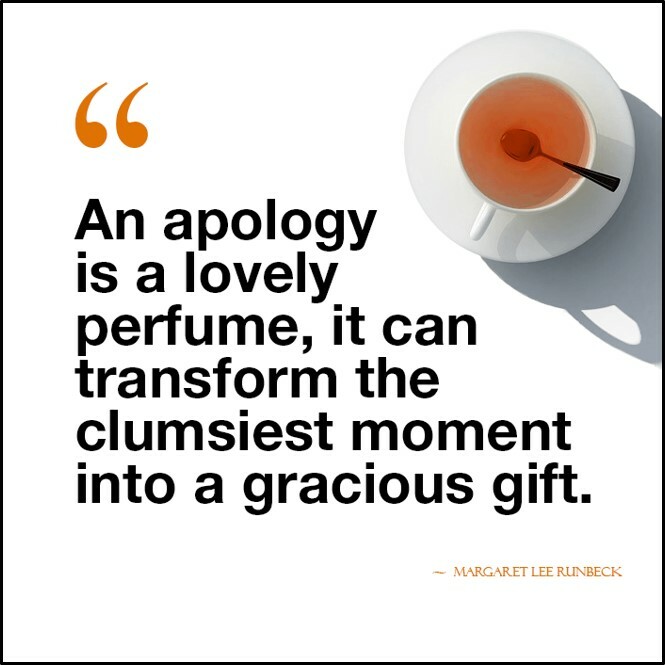 An apology is an acknowledgment of wrong doing. Of regret for one’s behavior. Of sorrow for having hurt, insulted or offended another person. It involves confession and concession. It is an admission that further seeks to make amends to the one aggrieved. The Bible teaches that “all have sinned and fallen short of the glory of God” (Rom. 3:23). While not all mistakes may rise to the level of a flagrant sin, they demonstrate our human flaws and foibles. Mistakes in judgment ought to be admitted. And corrected. Our errors may or may not be intentional, but they are still errors. And God calls on us to correct them. Both with Him. And with others. Benjamin Franklin astutely advised, “Never ruin an apology with an excuse.” “I’m sorry, but…” Or “I’m sorry, if…” Or “I’m sorry you…” These statements sound hallow and insincere. They deflect personal responsibility. And avoid honesty, openness, and transparency. Most of all they fail to express genuine remorse for the afflicted hurt. In fact, an insincere apology may do more harm than no apology. The inspired writer James admonished, “Confess your trespasses to one another, and pray for one another, that you may be healed. The effective, fervent prayer of a righteous man avails much” (Jas 5:16). The Bible offers some excellent examples of apologies that issued themselves, not just in words, but also in deeds. King David. The Prodigal Son. The tax collector, Zacchaeus. They all expressed recognition of wrong doing. Remorse. Resolve. Reformation. Restitution. And heartfelt repentance for their wrongs. Well said. And all true. But in our new world the norm is to look for something to be offended about, notwithstanding that Biden may have crossed the line with his touchy-feelingness. And it seems now to be the cool thing to not accept an apology. But, of course, one should still be given if one realizes he has done wrong.